Sony! It’s time for Sony! We know that we’re getting deep dives on four titles: Death Stranding, The Last Of Us: Part II, Ghost of Tsushima, and Spider-Man. But the real questions remain. Will we actually see Life Is Strange 2, or is Captain Spirit it for the year? And will we see the glaring holes from Square Enix’s showcase filled with information on Final Fantasy VII and the untitled Avengers project? I shouldn’t have said that. My stream broke. Someone is on stage with a banjo, though. It is Gustavo Santaolalla playing music from The Last Of Us. Developed by Naughty Dog, The Last Of Us: Part II is obviously a widely-anticipated title. As a trailer begins, we see a building full of happy, dancing, drinking people; the building looks quite like the one the E3 crowd is in... or is it vice versa? Ellie is sulking off to the side and Jesse approaches for some serious talk. Luckily, Ellie’s friend interrupts for a slow dance. But Ellie is distracted, until a kiss ensues — that’s right, girls can kiss girls and it can be adorable! Cut to a leafy forest, and Ellie is trying not to be detected. Dead bodies are suspended from trees, and someone is being disemboweled. She sneaks into an old multi-level car park before having to engage in hand-to-hand combat and being spotted. An abandoned mall provides sanctuary following several violent fights. And we end, once again, at the kiss. What is New Game Plus? That’s the second time it’s been mentioned, this time relating to God of War. Anyway, New Game Plus is coming to God of War, whatever that means. Oh, some Call of Duty. Yawn. If you’re here, reading this, it’s safe to say you don’t care either, so let’s pass. This short intermission is really long. 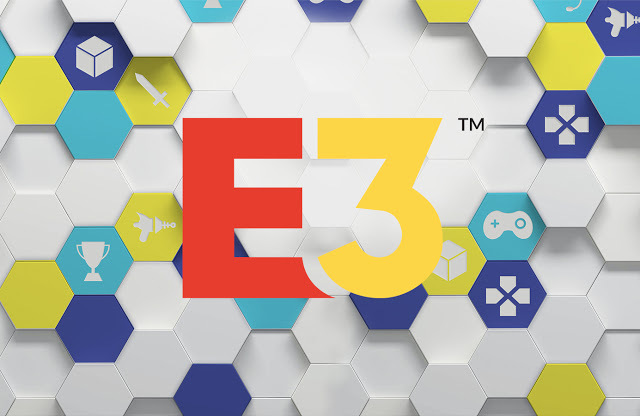 There’s now a flashback to Sony’s Countdown to E3, featuring Tetris Effect, Days Gone, Twin Mirror, Ghost Giant, and Beat Sabre. Destiny 2’s Forsaken expansion is coming on September 4. And we can finally move on! Inside a bigger, dome-like structure, there is again live music, this time with the background of a field blowing in the breeze. When the game trailer begins, a man and a horse are traversing rolling hills during day one of the Mongol Invasion. The grass effects are insane, as we pan to that same field as before. He climbs aboard his horse and heads towards the woods, across the field. Three men are slaying innocents, but our protagonist won’t take that and draws his sword. The water effects are lovely (ha). He meets and joins an ally, trying to gain access to a temple. There will be sneaking, oh yes, there will. Under a towering red maple, he fights for his friend. A banana with an electric guitar! But then he is gone and a woman is in an ever-shifting house. It’s a game by Remedy called Control, and I’m already obsessed. It will be out on January 25. From one of the co-creator of Rick and Marty comes Trovor Saves The Universe, an action platform game featuring a deadpan man in the bathtub. It is a PS4 and PSVR exclusive. Good golly, is MORE Kingdom Hearts necessary?! That being said, this trailer has some crazy pirate action going on, so that’s pretty fun. It is available on its own or, as a PS4 exclusive, packaged with 1.5, 2.5, and 2.8; both Kingdom Hearts III and the package will be released released on January 25. There’s a baby in someone’s womb, so this must be Death Stranding. A man makes deliveries, presumably of babies, and claims that is all he does. He travels extreme distances, through extreme terrain, so he must be incredibly important. “Give me your hand in life.” His hand has a strange face/skull-like tattoo on it. An invisible creature is making huge prints in the mud, but before he can react a woman shushes him and they continue to watch the print be created. “Give me your hand in death.” Once it leaves, she asks if you’re following into town. The creature can speed up time for those it encounters. “Give me your hand in flesh.” Rainy weather makes monsters in air appear, or is that the unborn baby? I think it’s the unborn baby... these shadow monsters look awful. I think she ate a fetus... although Twitter says it’s a bug, which is immensely less disgusting. Hey, Lindsay Wagner is involved! That’s who I was named after. The lore is that my dad thought she was hot, although certain parents who shall remain nameless dispute that version of events. Surprise! Nioh gets a sequel! Pan to a city at night. A helicopter is flying towards RAFT, with an interesting passenger — Spider-Man! It crashes though, leaving Spidey and his companion in a prison full of criminal mutants. He can take them on, but Rhino promises a surprise so that’s concerning. Scorpion’s tail dips down from above, grabbing our hero by the neck. The poor guy is stuck in a prison full of criminals he put there, and he needs to swing by them or disarm them one at a time to escape. Electro is the one who let them all out, but why? Spider-Man ends up on the roof, surrounded by supervillains trying to destroy him. But someone surprises him. “You.” But who is you?! Sony can’t disappoint its fans, and provides a brief closing video with flashes of what’s been shown tonight. I suppose there will be no Avengers. No Life Is Strange 2 past the introduction to its world through Captain Spirit. No Final Fantasy VII, which is just becoming a running joke now. Join me tomorrow for the Nintendo digital event recap! There best be a new Animal Crossing or I will eat my hat.